Typographic or other careless errors in your text immediately clues Adcom in as to how (un)careful you were with your text, and this tells them not only how organized and detail-oriented you are but also how much you actually really care about your application to their particular school. It also tells them whether you are a closer and finisher who nails things exactly, or a “glancing-blow” kind of guy. 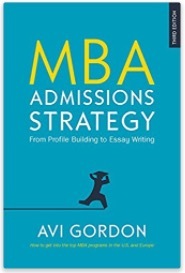 In this sense MBA admissions works just like a resume you send out for a job. If there’s one error in it, eyebrows will be raised. Two errors and you’ve written yourself out of a job. The longstanding ‘pet peeve’ across all Adcom readers is that the wrong school name often appears in the text. That is, Stanford GSB Adcom gets essays that say: “I would contribute to the peer learning environment at Wharton by …” Ouch. The spellchecker will help you a bit, but is not foolproof. It will happily let you say your first mentor was your high school principle. It will not replace Booth with Tuck. Nor does it know that Haas is a business school while Hass is an avocado. The tricky thing is that you, the essay-writing applicant, will battle to proofread your own work. Obvious errors will slip by undetected because your eyes will be focused (rightly) on content and message value delivery. 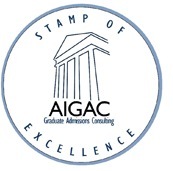 The MBA Admissions Studio does not offer a proofing service either, for the same reason. Proofreading should be done by someone who is seeing the essays for the first time, and who is tasked specifically with looking for errors, not reading for content or value.